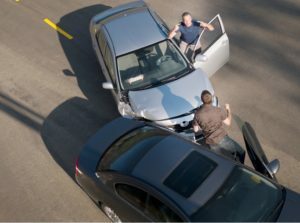 When speaking about car accidents, the term “fender bender” might be used frequently. Although this phrase is generally be used to describe a relatively minor rear-end collision, the potential effects are often understated. Certainly, drivers and their passengers might be lucky and walk away from a collision without immediate health concerns, but the important thing to remember injuries may not come to light right away. In all of the commotion after a rear-end collision, an accident victim’s lack of catastrophic or visible injuries might be confused for a complete lack of injuries. The reality is that the full effects of whiplash, concussions, and other spinal cord or neck injuries might not be apparent until well after the accident. As information is gathered after a car accident for insurance purposes, a person might inadvertently fail to initially report an injury. This exclusion could be made because claims are often reported within a few hours after an accident and a person might not be aware of the injury at the time claim is reported. An experienced car accident attorney can assist accident victims throughout this process and make sure claims are reported correctly. The frequency of rear-end accidents might fuel the inaccurate perception that they’re not dangerous. The National Highway Traffic Safety Administration reports that rear-end collisions account for a full 28 percent of highway accidents. The common nature of these accidents does not mean that they aren’t dangerous; rather, the unique details of each incident are what should be considered most carefully. Given the complex and less-than-straightforward details of some rear-end cases, it may feel intimidating or frustrating to deal with uncooperative insurance companies. With this in mind, an experienced attorney can provide guidance and point to the resources necessary to protect your rights and examine the details of a rear-end crash. To find out more, please visit our firm’s rear-end accident page.